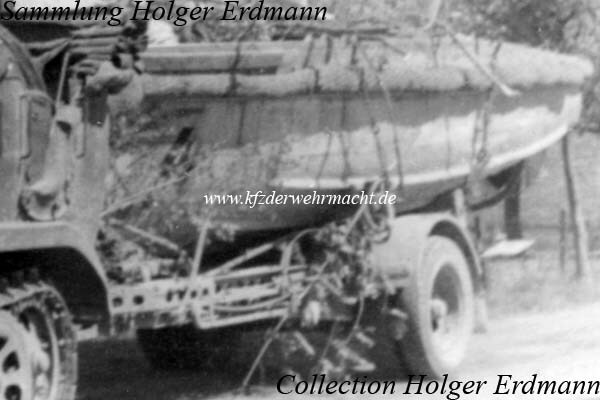 The one-axle trailer Anhänger (1 achs.) für Motorboot (Sd. Ah. 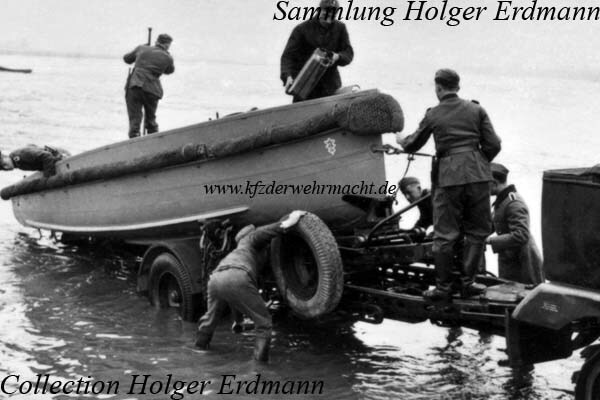 13) was used for the transportation of the 100 HP Motorboat 28 or the 100 HP Motorboat 41. 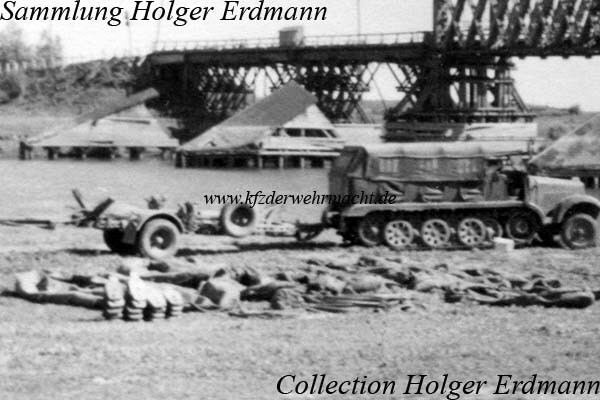 Possible towing vehicles were different 3 tons lorries and the Sd. Kfz. 6. This Sd. Ah. 13 was photographed in front of a damaged Djepr-bridge in sumer 1941. It was towed by an Sd. Kfz. 6. During a military exercise in 1940, this Sd. Ah. 13 was photographed. It belonged to Pionierbataillon 37 of 1. Panzer Division.